Updat4 January, 2019te --> • tags arabic, urdu, scriptnotes. This is not authoritative, peer-reviewed information – these are just notes I have gathered or copied from various places. For a summary of the script and its use in various writing systems, see the pages Arabic script summary, Urdu writing system, and Uighur writing system. For similar information related to other scripts, see the Script comparison table. We have usage data for the following 14 languages that use the Arabic script: Arabic, Central Kurdish, Dari, Persian, Kashmiri, Malay, Mazanderani, Luri, Pashto, Western Panjabi, Sindhi, Saraiki, Urdu, Uyghur. The transliteration for Arabic language text is based on ISO 233, though extended to remove ambiguities, especially around letters based on aleph. Most of the Latin transcriptions, however, are based on the Library of Congress system for Arabic, and the UN scheme for Persian. For historical reasons this is treated as an orthographic sign rather than as a letter of the alphabet. It sometimes stands alone, but usually appears with a 'carrier' letter - alef, waw, or yeh (أ إ ؤ ئ) for which separate precomposed characters are available in Unicode. This codepoint is used for representing the standalone hamza only. On its own it has no joining behaviour. Combined with base characters: When the hamza is above or below another character you should typically use ٔ [U+0654 ARABIC HAMZA ABOVE] with the appropriate base character, although there are a number of exceptions. Cutting and joining hamza in orthography: Classical arabic distinguishes between 'cutting' and 'joining' hamza. 'Cutting' means always pronounced, 'joining' means frequently elided. The joining hamza is of little practical importance in modern arabic pronounced without the old case endings. In modern printed arabic, the hamza is rarely shown when it occurs at the beginning of a word. At the beginning of a word hamza is always written on an alef, regardless which vowel it takes. When it takes an i-vowel it is written below the alef. eg. أحمد 'aḥmad, أريد 'urīd, and إكرام 'ikrām. See أ [U+0623 ARABIC LETTER ALEF WITH HAMZA ABOVE] and إ [U+0625 ARABIC LETTER ALEF WITH HAMZA BELOW]. In the middle of a word it is almost always written above a carrier letter. Which one depends on the vowels preceding and following the hamza, and the rules are complicated (and a common source of spelling errors among Arabs). When yeh is used as a mid-word carrier it loses its dots. eg. سأل sa'al, مؤمن mu'min, and نائم nā'im. See أ [U+0623 ARABIC LETTER ALEF WITH HAMZA ABOVE], ؤ [U+0624 ARABIC LETTER WAW WITH HAMZA ABOVE], and ئ [U+0626 ARABIC LETTER YEH WITH HAMZA ABOVE]. At the end of a word it is written above a carrier after a short vowel, or alone on the line after a long vowel or sukuun (vowelless letter). eg. قرأ qara', خطيء ḫaṭi', جزء ǧuz', بناء binā'. The sign indicating a joining hamza is called a wasla (see ٱ [U+0671 ARABIC LETTER ALEF WASLA]). This is the character code for the standalone hamza. The hamza is also used in conjunction with other characters in Urdu, for which there are precomposed characters that can be used. See ؤ [U+0624 ARABIC LETTER WAW WITH HAMZA ABOVE], ئ [U+0626 ARABIC LETTER YEH WITH HAMZA ABOVE], ۓ [U+06D3 ARABIC LETTER YEH BARREE WITH HAMZA ABOVE], and ۂ [U+06C2 ARABIC LETTER HEH GOAL WITH HAMZA ABOVE]. ٫ [U+066B ARABIC DECIMAL SEPARATOR] looks like a hamza, but isn't. A standalone hamza is sometimes used at the end of words derived from Arabic, though it is usually omitted in modern Urdu publications, eg. ضیاء ziaː light, ذکاء zakaː intelligence. Vowel junctions: The hamzā is used to indicate the boundaries between vowel sounds when there is no intervening consonant. Depending on the vowels concerned, it is used in a number of different ways, usually combined with other characters. In some cases this standalone form is used, eg. انشاءاللہ ɪnʃallaː God willing. See other ways in which vowel junctions are formed when the hamza is combined with other characters. Calendar indicator: Gregorian dates are indicated by placing ؁ [U+0601 ARABIC SIGN SANAH] below the year digits with the word عیسوی iːsviː Christian era. This is usually abbreviated as a hamza, eg. ۲۰۰۴؁ء. Normal pronunciation in both cases is ʔaː. The madda sign is still very often shown in print. Used at the beginning of words to represent ɑː, eg. آب āb water. ɑː (used word initially), eg. آب ɑːb now. Unlike the short vowel diacritics, the diacritic madd is never omitted. As an exception, it used in non-initial position in the word for Koran, القرآن. See also ا [U+0627 ARABIC LETTER ALEF]. This character represents the hamza (ء). At the beginning of a word hamza is always written on an alef carrier, regardless which vowel it takes. In this case, where the hamza appears above the alef, the vowel could be a or u. Examples: أحمد 'aḥmad, أريد 'urīd. 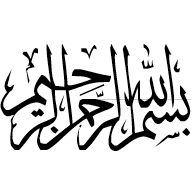 This character is also used to represent hamza in the middle or at the end of a word. Which of the possible alternative sequences (أ, ؤ or ئ) is used mid-word depends on the vowels preceding and following the hamza. The rules are complicated (and a common source of spelling errors among Arabs). At the end of a word this character is only used after a short vowel. Examples: سأل sa'al, قرأ qara'. See ء [U+0621 ARABIC LETTER HAMZA] for more information about hamza. See also إ [U+0625 ARABIC LETTER ALEF WITH HAMZA BELOW], ؤ [U+0624 ARABIC LETTER WAW WITH HAMZA ABOVE], and ئ [U+0626 ARABIC LETTER YEH WITH HAMZA ABOVE]. This character represents the hamza (ء) in the middle of a word. In the middle of a word the hamza is almost always written above a carrier letter. Which one depends on the vowels preceding and following the hamza, and the rules are complicated (and a common source of spelling errors among Arabs), eg. مؤمن mu'min (but cf. سأل sa'al, نائم nā'im). See ء [U+0621 ARABIC LETTER HAMZA] for more information about hamza. See also أ [U+0623 ARABIC LETTER ALEF WITH HAMZA ABOVE], إ [U+0625 ARABIC LETTER ALEF WITH HAMZA BELOW], and ئ [U+0626 ARABIC LETTER YEH WITH HAMZA ABOVE]. uː or o immediately after a preceding vowel (see below). Vowel junctions: The hamzā is used to indicate the boundaries between vowel sounds when there is no intervening consonant. Depending on the vowels concerned, it is used in a number of different ways. It can also have two different shapes, one like the initial form of 'ain and the other more like an italic 's'. When the second vowel is an uː or o represented by و, the hamzā typically sits directly on top of the و, eg. آؤ ɑːo come; جاؤں ʤɑːũː I may go. Often the hamzā is omitted in this situation. Many words have the vowel combinations iːo, where hamzā is not typically used, eg. لڑکیوں کا laɽkiːõ kɑː of the girls. See other ways in which vowel junctions are formed when dealing with other combinations of vowels. At the beginning of a word hamza is always written on an alef carrier, regardless which vowel it takes. When it takes an i vowel it is written below the alef. Example: إكرام 'ikrām. The mid-word and word-final equivalent of this character is ئ [U+0626 ARABIC LETTER YEH WITH HAMZA ABOVE]. See ء [U+0621 ARABIC LETTER HAMZA] for more information about hamza. See also أ [U+0623 ARABIC LETTER ALEF WITH HAMZA ABOVE], ؤ [U+0624 ARABIC LETTER WAW WITH HAMZA ABOVE], and ئ [U+0626 ARABIC LETTER YEH WITH HAMZA ABOVE]. This character represents the hamza (ء) in the middle of a word. When yeh is used as a mid-word carrier it loses its dots. In the middle of a word the hamza is almost always written above a carrier letter. Which one depends on the vowels preceding and following the hamza, and the rules are complicated (and a common source of spelling errors among Arabs), eg. نائم nā'im (but cf. سأل sa'al, مؤمن mu'min). See ء [U+0621 ARABIC LETTER HAMZA] for more information about hamza. See also أ [U+0623 ARABIC LETTER ALEF WITH HAMZA ABOVE], إ [U+0625 ARABIC LETTER ALEF WITH HAMZA BELOW], and ؤ [U+0624 ARABIC LETTER WAW WITH HAMZA ABOVE]. ɪ or a when following a vowel, eg. کوئلہ koɪlɑː coal; لائن lɑːɪn queue; ہیئت hɛat astronomy. The hamza indicates that this vowel is pronounced separately from the preceding one. iː, ɛ when used as izafat (see below). Otherwise functions as a soundless vowel junction indicator ('hamza on its chair'). Vowel junctions: The hamza is used to indicate the boundaries between vowel sounds when there is no intervening consonant. Depending on the vowels concerned, it is used in a number of different ways. It can also have two different shapes, one like the initial form of 'ain and the other more like an italic 's'. When the second vowel is an iː or e represented by ی or ے, the hamzā 'sits on a chair' before the letter representing the second vowel, eg. کئی kaiː several; تیئیس teiːs twenty-three; کوئی koiː someone; گئے gae they went; گائے gɑːe they sang. Many words, however, have vowel combinations iːe, where hamzā is not typically used, eg. چلیے ʧaliːe come on. Izāfat:Izāfat ɪzɑːfat is the name given to the short vowel ɛ used to describe a relationship between two words. It may be translated of, eg. as in the Lion of Punjab. This sound is mostly represented using zer, but in certain cases can be represented with a combining hamza. When the preceding word ends in ye ی [U+06CC ARABIC LETTER FARSI YEH], izafat is represented by a combining hamza, eg. ولیٔ کامل valiː ɛ kɑːmɪl perfect saint. Question Should you use ئ [U+0626 ARABIC LETTER YEH WITH HAMZA ABOVE], rather than ی [U+06CC ARABIC LETTER FARSI YEH] + combining hamza? There are other ways in which izafat can be formed. It also has one or two minor functions such as in conjunction with tawiin (nunation) (see U+064B ARABIC FATHATAN ً ). Certain parts of the arabic verb end in a long u-vowel that is conventionally written with a following alef that has no effect on pronunciation, eg. كتبوا kætæbuː. The alef is omitted if a suffix is added, eg. كتبوها kætæbuː-haa. æ with optional vowel diacritic ـَ [U+064E ARABIC FATHA​], eg اَسب asb horse. o with optional vowel diacritic ـُ [U+064F ARABIC DAMMA​], eg.اُمید omid hope. e with optional vowel diacritic ـِ [U+0650 ARABIC KASRA​], eg. اِسم esm name. ɑː when combined with ـٓ [U+0653 ARABIC MADDAH ABOVE​] . This is normally written using the precomposed character آ [U+0622 ARABIC LETTER ALEF WITH MADDA ABOVE], eg. آب āb water. ∅, but indicating an initial vowel sound, when followed by either و [U+0648 ARABIC LETTER WAW] or ی [U+06CC ARABIC LETTER FARSI YEH], eg. . او u he, she, این in this. ɑː in the middle or at the end of a word, eg. مار mār snake, بابا bābā father. a/ɪ/u on its own in word initial position. ɑː with madd آ, but see آ [U+0622 ARABIC LETTER ALEF WITH MADDA ABOVE] for this. ʊ/∅ sometimes as part of the Arabic definite article (see below). ɑː elsewhere, unless part of the Arabic definite article (see below). The alternative sounds possible in the initial combinations can be disambiguated, when necessary, by the use of combining marks. The combining marks are rarely used in normal text (with the exception of madd shown above). See a table of combining marks for vowels. Arabic definite article The pronunciation of ال (alif followed by lām) varies when it represents the Arabic definite article. This affects many words in Urdu that have come from Arabic, in particular names and adverbial expressions. Often the alif is not pronounced after a short preceding word that ends in a vowel. If the preceding vowel was long, it is shortened in this process. Examples: بالکل bɪlkul (absolutely); فی الحال filhɑːl (at present). Often the vowel is pronounced ʊ, eg. دارالحکومت dɑːrʊlhʊkuːmat (capital). bʰe together with ھ [U+06BE ARABIC LETTER HEH DOACHASHMEE], to represent the aspirated b, a distinct letter of the alphabet called bhe. Usually no sound, sometimes t.
Used for historical reasons to write the feminine ending, æ – the dots are borrowed from teh (ت). Pronounced as t in specific grammatical contexts. Example: مدرسة mædræsæ. This letter is only used in final position. If any suffix is added the ending is spelled with ت [U+062A ARABIC LETTER TEH], eg. مدرستنا mædræsæt-naː. In modern arabic it is not uncommon to find the two dots omitted, particularly on masculine proper names that have the feminine ending, eg. طلبة tulbæ. tʰ together with ھ [U+06BE ARABIC LETTER HEH DOACHASHMEE], to represent the aspirated t in Urdu, a distinct letter of the alphabet called the. s Only occurs in words of Arabic and Persian origin, and is much less common than س [U+0633 ARABIC LETTER SEEN], which is also pronounced s.
ʤʰ together with ھ [U+06BE ARABIC LETTER HEH DOACHASHMEE], to represent the aspirated ʤ in Urdu, a distinct letter of the alphabet called jhe. dʰ together with ھ [U+06BE ARABIC LETTER HEH DOACHASHMEE], to represent the aspirated d in Urdu, a distinct letter of the alphabet called dhe. In Urdu, this letter only occurs in words of Arabic and Persian origin, and is much less common than ز [U+0632 ARABIC LETTER ZAIN], which is also pronounced z. It is not counted as a regular letter of the Urdu alphabet. Urdu re re r (pronounced with a trill). In Urdu nastiliq text this can have two somewhat different shapes. The main part of the shape may be a wavy line, a little like a 'w', or can sometimes be a single swash – especially when two seen characters are written together. Use the same character for both visual forms. When one or other of the possible shapes is desired, this should be produced by the font. In Urdu nastiliq text this can have two somewhat different shapes. The main part of the shape may be a wavy line, a little like a 'w', or can sometimes be a single swash – especially when two sheen characters are written together. Use the same character for both visual forms. When one or other of the possible shapes is desired, this should be produced by the font. s Only used in words of Arabic origin. z Only used in words of Arabic origin. t Only used in words of Arabic origin. Not pronounced when preserved in Arabic words. If it occurs at the beginning of a word, it can fulfill a similar role to alif, allowing words to begin with a vowel, but also allowing for alternative spellings for different words with the same pronunciation, eg. عرب arab (Arab) vs. ارب arab (necessity). Note that a word-initial ɑː sound when the spelling begins with alif is written as alif with madd, eg. آج ɑːʤ (today). The same word-initial sound with 'ain is represented by 'ain followed by alif, eg. عادت ɑːdat (habit). In non-word-initial positions an ain can cause a change in sound to preceding short vowels. This results in long vowels, but not always the long form typically associated with a given short form. a short a becomes ɑː, eg. بعد bɑːd (after). a short ɪ becomes e, eg. سعر ser (verse). a short ʊ becomes o, eg. شعلہ ʃolɑː (flame). ʔ occasionally between two vowels, although this is often lost in Urdu, eg. معاف mʊʔɑːf or mɑːf (forgiven); سعآدت səʔɑːdət or sɑːdət (fortunate). Used in words that came into Urdu from Arabic and Persian. In arabic material printed in North Africa this letter sometimes has one dot below. There is a separate code point for that (ڢ [U+06A2 ARABIC LETTER FEH WITH DOT MOVED BELOW]), but it would make more sense to use a font to make this difference than to use a different character. In arabic material printed in North Africa this letter sometimes has only one dot above. There is a separate code point for that (ڧ [U+06A7 ARABIC LETTER QAF WITH DOT ABOVE]), but it would make more sense to use a font to make this difference than to use a different character. Not used in Urdu. See ک [U+06A9 ARABIC LETTER KEHEH]. ∅ when part of the Arabic definite article (see below). Combined with a following alif, lām is usually written as لا, eg. گلاس gilɑːs (glass). Sometimes, however, especially in words of Arabic origin such as the equivalent of the English prefix 'un-', the more Arabic form لا is used, eg. لاعلاج lɑːʕilɑːʒ (incurable). Note that I don't know a way to make this example work with a single font. To produce it I had to mix two different fonts. There may be a special font setting that allows you to control this. Arabic definite article The pronunciation of ال (alif followed by lām) varies when it represents the Arabic definite article . This affects many words in Urdu that have come from Arabic, in particular names and adverbial expressions. The lām is not pronounced if it precedes one of the following characters: ت‎062A te, ث‎062B se, د‎062F dāl, ذ‎0630 zāl, ر‎0631 re, ز‎0632 ze, س‎0633 sīn, ش‎0634 šīn, ص‎0635 svād, ض‎0636 zvād, ط‎0637 toe, ظ‎0638 zoe, ل‎0644 lām, ن‎0646 nūn. Instead, the following sound is doubled. A tašdīd (ـّ [U+0651 ARABIC SHADDA] ) may sometimes be used to indicate this. Example: السلام علیکم asːalɑːm alaikum (greetings). There may also be effects to the sound of the alif too. See ا [U+0627 ARABIC LETTER ALEF]. n, eg. انسان insãːn human being. The marker for hijri dates is an initial form of heh, even though it doesn't join to the left, ie. ه‍. For this, use a U+200D ZERO WIDTH JOINER immediately after the heh, eg. الاثنين 10 رجب 1415 ه‍.. In some cases ـ [U+0640 ARABIC TATWEEL] is used to ensure that the shape looks right, because some applications or fonts don't produce the right effect when using the ZWJ, eg. الاثنين 10 رجب 1415 هـ..
ɛ in word-final position after a consonant, eg. نَامِه nāme letter. In one common word (the informal version of no) in the educated Tehran dialect, it represents æ. In rural and regional dialects æ is more common. h as a consonant, otherwise, eg. خواهش xāheš desire. Word-finally after a vowel, and in monosyllabic words, it is pronounced as a consonant, eg. مَاه māh month, moon, نُه noh nine. When written without an intervening space, a suffix such as گاه ɡāh (place, time) or ها -hā (plural) doesn't join with this character when it is used as ezafe, eg. خانه‌ها xāne-hā houses. To achieve this, you need to use U+200C ZERO WIDTH NON-JOINER. w consonant or lengthener of u-vowel. The male proper name عمرو ʕæmr is written with an unpronounced final waw to distinguish it from the name عمر ʕumar that would otherwise be written identically. v, as a consonant, eg. وقت vaqt time. u, when preceded by ا [U+0627 ARABIC LETTER ALEF], eg. او u he, she. This is not a common combination in Persian. In vowelled text no diacritic is written with the alef in this case. w as part of a diphthong, when following an ا [U+0627 ARABIC LETTER ALEF], that carries a diacritic in vowelled text, eg. اُوج owj zenith. u, as a 'long' vowel, eg. نور nuːr nur light. When used in vowelled text no diacritic is associated with the previous consonant. w after another short vowel, used for a few common words, eg. پُلُو polo pilau rice, including when preceded by a nominal ـَ [U+064E ARABIC FATHA​]. v, as a consonant (typically the case before alef), eg. اِیوان eyvān veranda. ∅ after خ and before a long vowel, eg. خوابیدن xābidan to sleep, خواهر xāhar sister. This is a spelling holdover from classical Persian. u after a consonant, eg. زانو zānu knee. No diacritic needed in vowelled text. w after a vowel, eg. دُو do two, or پُلُو polo pilau rice. v after another long vowel, eg. گاو ɡāv throat. β as consonant, eg. والد vaːlɪd (father), نومبر navambar (November). uː or o or ɔ as a vowel, whether word initial after alif, او, or elsewhere on its own, eg. اوپر uːpər (above); لوگ log (people); شوق ʃɔq (keenness). The alternative vowel sounds can be disambiguated, when necessary, by the use of combining marks. The combining marks are rarely used in normal text. See a table of combining marks for vowels. ∅ in a number of words of Persian origin beginning with خوا, eg. خواب xɑːb (dream). ʊ in two very common words: خود xʊd (self), and خوش xʊʃ (happy). The long a-vowel at the end of many words is written with yeh instead of an alef. In this case the yeh is typically printed without dots, to avoid confusion, although this is not universal. This spelling only occurs with certain words, and only when the final sound is aː, eg. معنى mæʕnaː. If any suffix is added, the spelling reverts to the normal alef, eg. معناهم mæʕnaː-hum. Vowelled text may omit the short æ diacritic before the teh marbuta, because the sound is always the same. Older fonts may not show dual joining. Not used in Persian or Urdu. See ی [U+06CC ARABIC LETTER FARSI YEH]. In certain foreign words, pronounced more like eː, eg. سكرتير sɪkrɪteːr. Use with hamza When used with ٔ [U+0654 ARABIC HAMZA ABOVE] the two dots are suppressed in all positions. Text in NFC actually uses ئ [U+0626 ARABIC LETTER YEH WITH HAMZA ABOVE] rather than the decomposed sequence, so that is recommended. Unlike this character, ࢨ [U+08A8 ARABIC LETTER YEH WITH TWO DOTS BELOW AND HAMZA ABOVE] retains the two dots in all forms, however it also represents a semantically different character. In classical arabic, indefinite nouns and adjectives were marked by a final n-sound, called تنوين tænwiːn or, in English, 'nunation'. This is normally indicated by doubling the vowel diacritic. On a word ending with an a-vowel (though not with a feminine ending or some other suffixes) an extra alef was also added at the end of the word. In modern arabic printing the fathatan is usually dropped, but the alef is retained. The pronunciation of the ending æn is also retained in many words. Examples: كِتَابًا kɪtæːbæn, فَرَسًا færæsæn. This is a doubled zabar (ـَ [U+064E ARABIC FATHA] ). These marks appear at the ends of certain Arabic adverbs. The doubled zabar is the most common of the three marks of this type. Although the mark appears over an alif the vowel sound is short. Examples, یقیناً yakiːnan (certainly); مثلاً masalan (for example). In classical arabic indefinite nouns and adjectives were marked by a final n-sound, called تنوين tænwiːn or, in English, 'nunation'. This is normally indicated by doubling the vowel diacritic. Example: جَبَلٌ or جَبَلُ ُ ʒælæbun. Not usually shown in modern text (exceptions in the Koran, difficult older texts, and children's schoolbooks). Doubled peš (ـُ [U+064F ARABIC DAMMA] ). In classical arabic indefinite nouns and adjectives were marked by a final n-sound, called تنوين tænwiːn or, in English, 'nunation'. This is normally indicated by doubling the vowel diacritic. Example: جَبَلٌ or قَلَمٍ qælæmɪn. Doubled zer (ـِ [U+0650 ARABIC KASRA] ). æ or a after ص ض ط ظ غ ق and sometimes after خ ر ل, eg. كَتَبَ kætæbæ. Actual pronunciation varies with context. Rarely used; only where pronunciation needs to be spelled out. a when used word medially without one of ا, و, or ی, eg. تَبَر tabar axe. Rarely used; only where pronunciation needs to be spelled out. Indicates a vowel following its base character. zabar means above. ə above a consonant, eg. بَب bəb. At the begining of a word it appears above alif or 'ain, eg. اَب əb (now), and عَرَب ərəb (Arab). ɑː when followed by alif, silent choṭī he, or 'ain, eg. بَاغ bɑːɣ (garden), مکَہ makːɑː (Mecca), and بَعد bɑːd (after). ɛ when followed by je (both forms), eg. جَیسا ʤɛsɑː (as), اَیسا ɛsɑː (such), and ہَے hɛ (is). ɛ when followed by choṭī he or baṛī he, eg. اَحمد ɛhmad (Ahmed), and رَہنا rɛhnɑː (to remain). ɔ when followed by vɑːuː, eg. شَوق ʃɔq (keenness), and اَور ɔr (and). See a table of combining marks for vowels. eg. كُتُب (kutub). Actual pronunciation varies with context. Not usually shown in text (exceptions tend to be the Koran, difficult older texts, and children's schoolbooks). o when used word medially without one of ا, و, or ی, eg. شُتُر šotor camel. Rarely used; only where pronunciation needs to be spelled out. Indicates a vowel following its base character. peš means forward. ʊ above a consonant, eg. بُب bʊb. At the begining of a word it appears above alif or 'ain, eg. اُب ʊb. uː when followed by vɑːuː, eg. پُورا puːrɑː (full), and اُوپر uːpar (above). o when followed by 'ain, eg. شُعلہ ʃolɑː (flame), and توُّع tavaqːo (hope). ɔ when followed by ʧʰoʈiː he or baṛī he, eg. شُہرت ʃɔhrat (fame), and توجُّہ tavajːɔh (attention). ʊ, rather than a long vowel, in two very common words with a following vɑːuː: خُود xʊd (self), and خُوش xʊʃ (happy). The word وہ vo (that, he, she, it) is irregular. eg. بِهِ bɪhɪ. Actual pronunciation varies with context. e when used word medially without one of ا, و, or ی, eg. کِرم kerm worm. Rarely used; only where pronunciation needs to be spelled out. Indicates a vowel following its base character. zer means below. ɪ below a base consonant, eg. بِب bɪb. At the begining of a word it appears below alif or 'ain, eg. اِتْنَا ɪtnɑː (so much) and عِلْم ɪlm (knowledge). iː when followed by je, eg. سِینہ siːnɑː (breast), and اِیمان iːmɑːn (faith). e when followed by ain, eg. شِعر ʃer (verse), and واقِع vɑːqe (situated). ɛ when followed by ʧʰoʈiː he or baɽiː he, eg. مِہربانی mɛhrbɑːniː (kindness), and واضِح vɑːzɛh (clear). ɪzāfat ɪzɑːfat is the name given to the short vowel ɛ when used to describe a relationship between two words. It may be translated of, eg. as in the Lion of Punjab. This sound is mostly represented using zer. Sometimes, however, the combining mark is not shown, even though pronounced. Examples: شیرِ پنجاب ʃer ɛ panʤɑːb (Lion of the Panjab); طالبِ علم tɑːlɪb ɛ ɪlm (seeker of knowledge (a student)). There are other ways in which ɪzāfat can be formed. Diacritic that doubles the length of the supporting consonant, eg. رتّب rætːæbæ. Visible in arabic printing, but not always marked consistently. A common, though not universal, practice is to display any combining kasra below the shadda, rather than below the base consonant, eg. قَبِّل qæbːɪl. Some fonts, such as Amiri, don't do this. The sign derives from a miniature nucleus of seen, without dots. Doubles the sound of the base consonant. Doubles the sound of the base consonant, eg. ستّر sattar seventy. More often than not, this is not written. Indicates that no vowel follows the consonant to which this is attached, eg. مَكْتَب maktab. Rarely used; indicates absence of a vowel between consonants. Urdu sukūn sukuːn or jazm ʤazm. Rarely used; indicates absence of a vowel between consonants, eg. سَخْت saxt (hard). This diacritic is never normally written above the final character in a word, because as a rule a short vowel is not pronounced in this position. Sukūn is an Arabic word meaning rest or pause. The hamza sometimes stands alone (see ء [U+0621 ARABIC LETTER HAMZA]), but usually appears with a 'carrier' letter - alef, waw, or yeh (أ إ ؤ ئ) for which separate precomposed characters are available in Unicode. Combined with base characters: When the hamza is above or below another character you should typically this character with the appropriate base character, however there are a number of exceptions, where you would not normally use this character. ye when used to express the ezafe over ه [U+0647 ARABIC LETTER HEH] when that character is used to represent a final, short e, eg. خانهٔ بزرگ xāne-ye bozorɡ big house. ɛ when used as izafat. Izāfat:Izāfat ɪzɑːfat is the name given to the short vowel ɛ used to describe a relationship between two words. It may be translated of, eg. as in the Lion of Punjab. This sound is mostly represented using zer, but in certain cases can be represented with a combining hamza. When the preceding word ends in ye ی [U+06CC ARABIC LETTER FARSI YEH], izafat is represented by a combining hamza, eg. ولیٔ کامل valiː ɛ kɑːmɪl perfect saint. Question Should you use ئ [U+0626 ARABIC LETTER YEH WITH HAMZA ABOVE] (or its decomposed form, which includes this character), rather than ی [U+06CC ARABIC LETTER FARSI YEH] + combining hamza? When the preceding word ends in a silent choṭī he ہ [U+06C1 ARABIC LETTER HEH GOAL], izafat is also represented by a combining hamza, eg. قطرۂ آب qatra ɛ ɑːb drop of water. There is a precomposed character for this combination, ۂ [U+06C2 ARABIC LETTER HEH GOAL WITH HAMZA ABOVE]. Note that if the choṭī he is pronounced, then zer is used, eg. آہِ گرم āh-e garm hot sigh. Used to indicate that the vowel is iː or i rather than e, eg. نُحْیٖ. This diacritic is not usually needed, and serves only to emphasise that the vowel is long. Used to indicate that the vowel is uː or ʊ rather than ɔ, eg. حبل حلالہٗ. Nasalisation of Urdu vowels is normally indicated by ں [U+06BA ARABIC LETTER NOON GHUNNA] at the end of a word (eg. کروں karũː, I may do), and ن [U+0646 ARABIC LETTER NOON] in the middle of a word (eg. ٹانگ tãːg leg). This diacritic is used when people want to make it clear that a noon character represents nasalisation rather than the sound n, eg. ٹان٘گ tãːg leg. It is not used in a standard way, just when the user prefers, and is fairly uncommon. 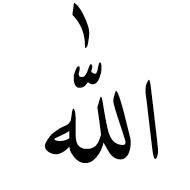 Used in certain Arabic words such as هٰذَا this or ذٰلِكَ that, and not forgetting اللّٰه Allah. Used in a few Arabic words over the final form of ی [U+06CC ARABIC LETTER FARSI YEH] to produce the sound ɑː: eg. اعلیٰ alɑː (paramount, highest); دعویٰ davɑː (law suit, claim). Classical arabic distinguishes between 'cutting' and 'joining' hamza. 'Cutting' means always pronounced, 'joining' means frequently elided. The sign indicating a joining hamza is called a wasla. The joining hamza is of little practical importance in modern arabic pronounced without the old case endings. Example: مَا ٱسْمُكَ mā smuka What's your name?. ʈʰ together with ھ [U+06BE ARABIC LETTER HEH DOACHASHMEE], to represent the aspirated retroflex t in Urdu, a distinct letter of the alphabet called ṭhe. pʰ together with ھ [U+06BE ARABIC LETTER HEH DOACHASHMEE], to represent the aspirated p in Urdu, a distinct letter of the alphabet called phe. This character does not decompose. It is treated as a separate letter, and is not equivalent to ح [U+062D ARABIC LETTER HAH] + ٔ [U+0654 ARABIC HAMZA ABOVE]. ʧʰ together with ھ [U+06BE ARABIC LETTER HEH DOACHASHMEE], to represent the aspirated ʧ in Urdu, a distinct letter of the alphabet called che. ɖʰ together with ھ [U+06BE ARABIC LETTER HEH DOACHASHMEE], to represent the aspirated retroflex d in Urdu, a distinct letter of the alphabet called ḍhe. ɽʰ together with ھ [U+06BE ARABIC LETTER HEH DOACHASHMEE], to represent the aspirated retroflex r in Urdu, a distinct letter of the alphabet called ṛhe. An alternative form of ف [U+0641 ARABIC LETTER FEH] used in Arabic in North Africa. It would make more sense to use a font to make this difference than to use a different character. An alternative form of ق [U+0642 ARABIC LETTER QAF] used in Arabic in North Africa. It would make more sense to use a font to make this difference than to use a different character. kʰ together with ھ [U+06BE ARABIC LETTER HEH DOACHASHMEE], to represent the aspirated k in Urdu, a distinct letter of the alphabet called khe. When followed by alif or lām, this has a special rounded shape, eg. کا kɑː (of); کل kal (yesterday). gʰ together with ھ [U+06BE ARABIC LETTER HEH DOACHASHMEE], to represent the aspirated g in Urdu, a distinct letter of the alphabet called ghe. When followed by alif or lām, this has a special rounded shape, eg. گام gɑːm (step); گل gul (rose). Urdu nasalisation indicator, nun ghunna nuːn ɣunna. ◌̃ Indicates that the preceding vowel is nasalised. It is normally only used at the end of a word, eg. ماں mãː, mother, کروں karũː, I may do. Nasalization within a word usually uses ن [U+0646 ARABIC LETTER NOON], eg. ٹانگ tãːg leg. Occasionally noon ghunna is found in the middle of a word where a final form is used, eg. لکھیں‌گے vs. لکھینگے for likhēge he,they will write. It may also be used to represent the noon skeleton in representations of early Arabic and Quranic texts. This is not counted as a regular letter of the Urdu alphabet. According to the Unicode Standard, all four forms of this character should be dotless, however when it appears initially or medially some fonts use a dotted form (eg. Scheherazade) or a dotted form with a noon ghunna diacritic above (eg. Noto Nastaliq Urdu). Urdu aspiration marker / calendar indicator, do cašmī he. Aspiration: Used to create the aspirated letters of the Urdu alphabet. Each letter is composed of two characters. The letters are: بھ bʰe, پھ pʰe, تھ tʰe, ٹھ ʈʰe, جھ ʤʰe, چھ ʧʰe, دھ dʰe, ڈھ ɖʰe, ڑھ ɽʰe, کھ kʰe, and گھ gʰe. Until recently choṭī he (ہ [U+06C1 ARABIC LETTER HEH GOAL]) and do cašmī he could be used interchangeably to express aspiration, eg. ہاں or ھاں for hãː yes. Modern practice is to use this character exclusively for aspiration, though people do still occasionally confuse the two. Calendar indicator: Dates using the Muslim calendar are followed by the word ہجری hɪʤriː, which is abbreviated with the symbol ھ.
ɑː as 'silent he' (see below). ɛ occasionally as a variant of 'silent he' (see below). ∅ when doubled at the end of a word (see below). Silent he: In Urdu words this letter is pronounced ɑː at the end of a word. Many Arabic and Persian words end in a he that is pronounced ɑː (just like alif), eg. مکّہ məkkɑː (Mecca). A word like rɑːʤɑː (king), can be spelled with either an alif or a he, ie. راجا or راجہ. This is because the original Indian word was borrowed into Persian, then back into Urdu. Both spellings are now acceptable. In a few words, the pronunciation of silent he is irregular, eg. کہ kɛ (that) and نہ nə (no). Doubled he: In order to distinguish some words where the final h is pronounced rather than representing ɑː (or ɛ in irregular pronunciations), the choṭī he is sometimes doubled, eg. کہہ kɛh (say) vs. کہ kɛ. Aspiration: Until recently choṭī he ہ and do cašmī he ھ could be used interchangeably, eg. ہاں or ھاں for hãː (yes). Modern practice is to use the latter exclusively for aspiration, though people do still occasionally confuse the two. a to ɛ, eg. رَہنا rɛhnɑː (to remain ). ɪ to ɛ, eg. مہربانی mɛhrbɑːniː (kindness). ʊ to o, eg. , شہرت ʃohrət (fame). The initial form is written with a hook beneath, eg. ہندو hinduː (Hindu). The medial can be written with or without, eg. کہاں xɑːb (dream). A special initial form is used before alif or lam, eg. ہاں hãː (yes), and اہل ahl (people). hɛ when used as izafat. When the preceding word ends in a silent choṭī he ہ [U+06C1 ARABIC LETTER HEH GOAL], izafat is represented by a combining hamza, eg. قطرۂ آب qatra ɛ ɑːb drop of water. Note that if the choṭī he is pronounced, then zer is used, eg. آہِ گرم āh-e garm hot sigh. This character has two dots below it in initial and medial position, but no dots in final or independent form. i when preceded by ا [U+0627 ARABIC LETTER ALEF], eg. . این īn this. In vowelled text no diacritic is written with the alef in this case. j, as a consonant, eg. یازده yāzdah eleven, or as part of a diphthong when following an initial alef that carries a diacritic in vowelled text, eg. اِیوان eyvān veranda. i, a 'long' vowel, eg. تیر tir arrow. When used in vowelled text no diacritic is associated with the previous consonant. j after another vowel, eg. خَیلی xeyli very, رویگر ruyɡar coppersmith, پایدار pāydār permanent, or as a consonant (typically the case before alef), eg. سیاه siyāh black. i, after a consonant, eg. تکسی taksī taxi. No diacritic needed in vowelled text. j after a vowel, eg. چای čāy black tea, نِی nej reed. ye if this is the ezafe (adjectival joiner) used after a vowel, eg. اسب زیبای تندروی من asbe zibāye tundruye min my beautiful, fast horse. j as a consonant (word initial or medial), یار jɑːr (friend) and سایہ sɑːjɑː (shadow). iː or e or ɛ as an initial or medial vowel (initially it is used after alif, ای), eg. ایک ek (one), سینہ siːnɑː (breast), and کیسا kɛsɑː (how). The alternative vowel sounds can be disambiguated, when necessary, by the use of combining marks. The combining marks are rarely used in normal text. See a table of combining marks for vowels. iː in word final position, eg. لڑکی ləɽkiː (girl). The Urdu letter je has another, distinct visual form, used only finally or in isolation, to represent the sound e or ɛ. For that you need to use ے [U+06D2 ARABIC LETTER YEH BARREE], eg. لڑکے ləɽke boys. e or ɛ, eg. لڑکے laɽke, (boys). The alternative sounds possible in the initial combinations can be disambiguated, when necessary, by the use of combining marks, eg. ہَے hɛ vs. بجے baʤe. The combining marks are rarely used in normal text. See a table of combining marks for vowels. Shape:‍ے ے. This form is used only in word final or isolated position. This shape is regarded as a stylistic variant in Arabic and Persian text, but it has a functional purpose in Urdu, to help with Urdu's larger number of vowels. The Urdu letter je has another visual form, used for sounds other than final or isolated e or ɛ. For that you need to use ی [U+06CC ARABIC LETTER FARSI YEH], eg. لڑکی ləɽkiː (girl). This shape is also used with a hamza to represent the izāfat ɪzɑːfat. For this you should use ۓ [U+06D3 ARABIC LETTER YEH BARREE WITH HAMZA ABOVE]. See also ے [U+06D2 ARABIC LETTER YEH BARREE]. This character does not decompose. It is treated as a separate letter, and is not equivalent to ب [U+0628 ARABIC LETTER BEH] with ٔ [U+0654 ARABIC HAMZA ABOVE]. Unlike ئ [U+0626 ARABIC LETTER YEH WITH HAMZA ABOVE], which loses the two dots when combined with hamza, this character retains the two dots in all forms. Note that this character does not decompose. It is treated as a separate letter. It is also possible to find % [U+0025 PERCENT SIGN]. Used in arabic, but not in common use (possibly because it is not available on the keyboard), eg. ١٫٢٣. Khaled Hosny reports that people usually use , [U+002C COMMA] or even a small ر [U+0631 ARABIC LETTER REH] (mainly in newspapers, probably because it looks closer to this character than a comma) 1. Example ۲۵۲۴٫۲۳ do hazɑːr pɑ̃ːʧ sau caubiːs aʃɑːrɪjɑː do tiːn (2524.23). In Urdu this looks like a hamza. Used in old documents, eg. ١٬٢٣٤, but not common in recent use 1. In Morocco, it seems that a comma or a space is more common, though there may also be no separator 2. Used to stretch words for simple justification, or to make a word or phrase a particular width, or as a form of emphasis. Better quality justification systems stretch glyphs, rather than adding baseline extensions. This dynamic stretching of glyphs is often called kashida. In some typesetting systems, such as InDesign, the tatweel character serves more to indicate opportunities for stretching, and the glyph for the character itself is not shown. Which words are stretched and how much depends on a set of rules that tends to vary for different font styles. (Elongation is not normally used at all for the ruq'a style.) The following is an example of text justified using tatweel from a newspaper column. One of the major problems when using tatweel to stretch text is that when the width of the space in which the text is displayed, or when new text is added near the start of a paragraph, lines wrap differently and all the places where tatweel would be needed have to be recalibrated. Thus tatweels only work for static text with fixed dimensions. It is very common to see baseline stretching in modern Arabic text where a word or phrase is stretched to fill a particular space, eg. the Arabic tag line (الابداع المتجدد Creativity renewed) below the word Lexus in the following image is stretched to be the same width. In a RTL context, the bidi algorithm expects a sequence of numbers separated by hyphens (for example), to run left to right when preceded by Hebrew or N’Ko text, however it expects the sequence to run right to left when preceded by Arabic, Thaana, or Syriac characters. However, when a sequence like this appears alone on a line, it always runs left to right, because the bidi algorithm can't detect a previous Arabic, or other, character. This order not appropriate for documents in the Arabic language (and i guess Dhivehi or Syriac). The ALM is a way of producing the right sequencing by inserting what is effectively an invisible Arabic character before the number. RLM and RLI..PDI, etc, are unable to produce the RTL sequencing, because the difference lies in what script precedes the number. This is all helpful for Arabic language text, but Persian doesn’t order these sequences RTL, so it’s necessary to use one (any) of the directional formatting characters before such sequences in Persian to prevent this special ordering. Similar special ordering is applied to numbers in equations, such as 1 + 2 = 3 for Arabic language text. Used to indicate a number, eg. ۱۲۳؀. The stroke may be elongated and pass under the number, but this is not a combining character, and should appear before the number in memory. The length of the symbol may vary according to the number of digits. It is terminated by a non-digit character. Dates are indicated by placing this long sweep below the year digits. For the Gregorian calendar this is followed with the word عیسوی iːsviː Christian era. This is usually abbreviated as a hamza ء. Dates using the Muslim calendar are followed by the word ہجری hɪʤriː, which is abbreviated with the symbol ھ. The sanh sign is typed before the digits (in a rtl context): eg. ۲۰۰۴؁ء ‎(2004). It is not a combining character, even though it displays beneath the digits. The length of the symbol may vary according to the number of digits. It is terminated by a non-digit character. The sanh is derived from the Arabic word for year سنة. Used to indicate that a number is a footnote, eg. ؎۵. The number sits above the symbol, although this is not a combining character. The marker should come before the number in logical order. Do not confuse this with ؎ [U+060E ARABIC POETIC VERSE SIGN]. Used to indicate a page number, where English would use an abbreviation such as "pp. 35-45", eg. ؃۴۵. The stroke may be elongated and pass under the number. The symbol should come before the number in logical order. The symbol is derived from the stroke used for ص [U+0635 ARABIC LETTER SAD]. The symbol is a stylized abbreviation of the word samvat, the name of this calendar. Urdu Often used to mark the beginning of poetic verse. For an example see Figure 8 in Jonathan Kew's examples. Do not confuse this with ؂ [U+0602 ARABIC FOOTNOTE MARKER]. Urdu poetry typically creates poems from couplets. This symbol is used to indicate a single line (misra) of a couplet (shayr) from an Urdu poem, when quoted in text. This sign is used when quoting a line of verse in text. It is used at the beginning of the line, and is followed by the line of verse. See an example. Urdu Represents sallallahu alayhe wasallam sallallao alae va sallam (may God's peace and blessings be upon him) صلّى الله عليه وسلّم. Used over the name of Mohammed. One of several marks that represent phrases expressing the status of a person, most having specifically religious meaning. The mark is really associated with a word, rather than a character, but the placement is left to the user. The mark is often added somewhere in the middle of a name, but commonly appears towards the end. This depends to some extent on the letter shapes present and the calligraphic style in use, eg. محمّدؐ muhamːed sallallao alae va sallam. 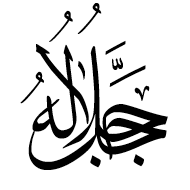 Urdu Represents alayhe asallam alejsallam (upon him be peace) عليه السّلام. Used over the name of prophets other than Mohammed. The mark is really associated with a word, rather than a character, but the placement is left to the user. The mark is often added somewhere in the middle of a name, but commonly appears towards the end. This depends to some extent on the letter shapes present and the calligraphic style in use, eg. عیسؑیٰ isaː salejsallam Christ, upon him be peace!. 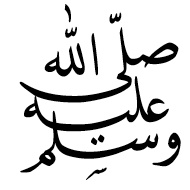 Urdu Represents rahmatulla alayhe raːmatʊlla alee (may God have mercy upon him) رحمت الله عليه. Used over the names of saints, religious authorities, and other deceased pious persons. The mark is really associated with a word, rather than a character, but the placement is left to the user. The mark is often added somewhere in the middle of a name, but commonly appears towards the end. This depends to some extent on the letter shapes present and the calligraphic style in use, eg. قاضی نور محمّدؒ kaziː nur mamed rahmatulla alayhe Qazi Nur Muhammad, may God have mercy upon him!. Urdu Represents radi allahu 'anhu raziallaːo ano (may God be pleased with him) رضي الله عنه. Used over the names of the Companions of the Prophet. The mark is really associated with a word, rather than a character, but the placement is left to the user. The mark is often added somewhere in the middle of a name, but commonly appears towards the end. This depends to some extent on the letter shapes present and the calligraphic style in use, eg. ابوبکرؓ abu bakr, raziallaːo ano Abu Bakr, may God be pleased with him!. Urdu Sign placed over the name or nom-de-plume of a poet, or in some writings used to mark all proper names. The mark is really associated with a word, rather than a character, but the placement is left to the user. The mark is often added somewhere in the middle of a name, but commonly appears towards the end. This depends to some extent on the letter shapes present and the calligraphic style in use, eg. عطاشادؔ ataː ʃaːd Ata Shad (author's name). Used in more than one way with ـْ [U+0652 ARABIC SUKUN​] in Koranic text. Used above a sukun, it is a pause-related hint, eg. مَالِيَةْۜ. Used to indicate numbered verses in the Koran. The symbol encloses the numbers, eg. ٣۝ or ٤٣۝. See also U+08E2 ARABIC DISPUTED END OF AYAH, which is used occasionally in Koranic text to mark a verse for which there is scholarly disagreement about the location of the end of the verse. Shape۰, ie. same as ٠ [U+0660 ARABIC-INDIC DIGIT ZERO]. Shape۱, ie. same as ١ [U+0661 ARABIC-INDIC DIGIT ONE]. Shape۲, ie. same as ٢ [U+0662 ARABIC-INDIC DIGIT TWO]. Shape۳, ie. same as ٣ [U+0663 ARABIC-INDIC DIGIT THREE]. Shape۴, cf. ٤ [U+0664 ARABIC-INDIC DIGIT FOUR]. Shape۵, cf. ٥ [U+0665 ARABIC-INDIC DIGIT FIVE]. Shape۶, cf. ٦ [U+0666 ARABIC-INDIC DIGIT SIX]. Shape۷, ie. same as ٧ [U+0667 ARABIC-INDIC DIGIT SEVEN]. Shape۷, cf. ٧ [U+0667 ARABIC-INDIC DIGIT SEVEN]. Shape۸, ie. same as ٨ [U+0668 ARABIC-INDIC DIGIT EIGHT]. Shape۹, ie. same as ٩ [U+0669 ARABIC-INDIC DIGIT NINE]. Most presentation form characters are for compatibility and should not be used. There are a few characters, however, that may be useful in particular circumstances, and those are the ones discussed here. The word ligature range extends from U+FDF0 to U+FDFD, but the Unicode Standard only calls out a few of those codepoints for mention (those listed here), relegating the others to rarely used compatibility characters. The shape of these characters varies significantly across different fonts. You can experiment with various font renderings using the font switch dialogue box (click on the blue horizontal bar at the bottom right of the page). Shape The shape varies slightly from font to font, and is not always correct – for example, a number of fonts omit the initial alef. The Noto Naskh Arabic font used in the box above left doesn't produce the diacritics. Here is the rendering of this code point in the Unicode charts. See the information about usage in Arabic above. 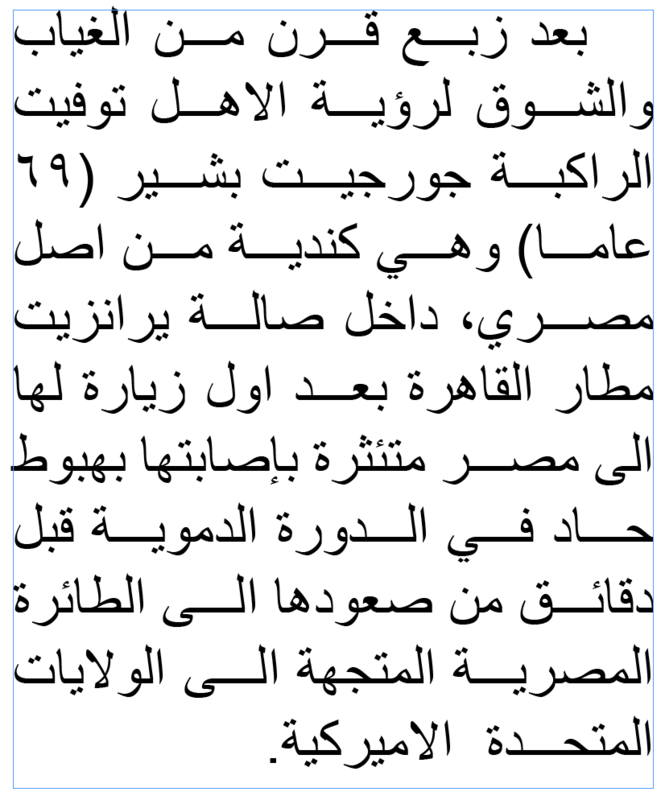 The compatibility decomposition for this character in the Unicode database is صلى الله عليه وسلم – click on the red text to see the list of characters. Shape The shape varies slightly from font to font. Here is the rendering of this code point in the Unicode charts. The compatibility decomposition for this character in the Unicode database is جل جلاله – click on the red text to see the list of characters. There is no decomposition for this character. Shape The shape varies significantly from font to font and usage to usage. Here is the rendering of this code point in the Unicode charts. See other renderings at Wikipedia. Created by a typewriter standardisation committee in 1973, this is intended to be a condensed version of the word for the Iranian currency. The compatibility decomposition of this character is ریال (click on the red text to see the list). The following people have provided helpful advice.